A drop of natural goodness for total oral care. 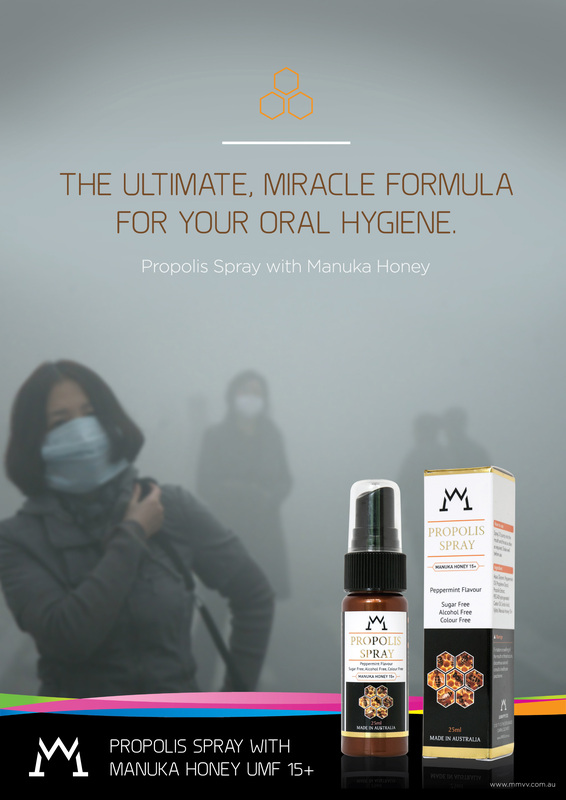 Propolis spray is a convenient solution specially formulated to help maintain oral health and hygiene. It also contains Manuka Honey 15+ which has extra powerful antiseptic property not found in other types of honey. No Artificial flavours, sweetners, preservatives or colours. Directions: Spray two to five pumps into the mouth and throat as often as required. Shake well before use. Active ingredients: Propolis Extract, Peppermint Oil and Manuka Honey.